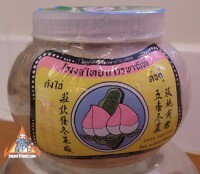 This is a necessary ingredient for making Thai rice soup (Khao Tohm). Also known as congee, Khao Tohm is a delicious rice soup that makes for a delicious, healthy breakfast. The cabbage is also added to stir-fry recipes, usually those with meat. New recipe: Rice with salty chili sauce & seafood (Chantaburi-style), "Khao Kruk Prik Klua". 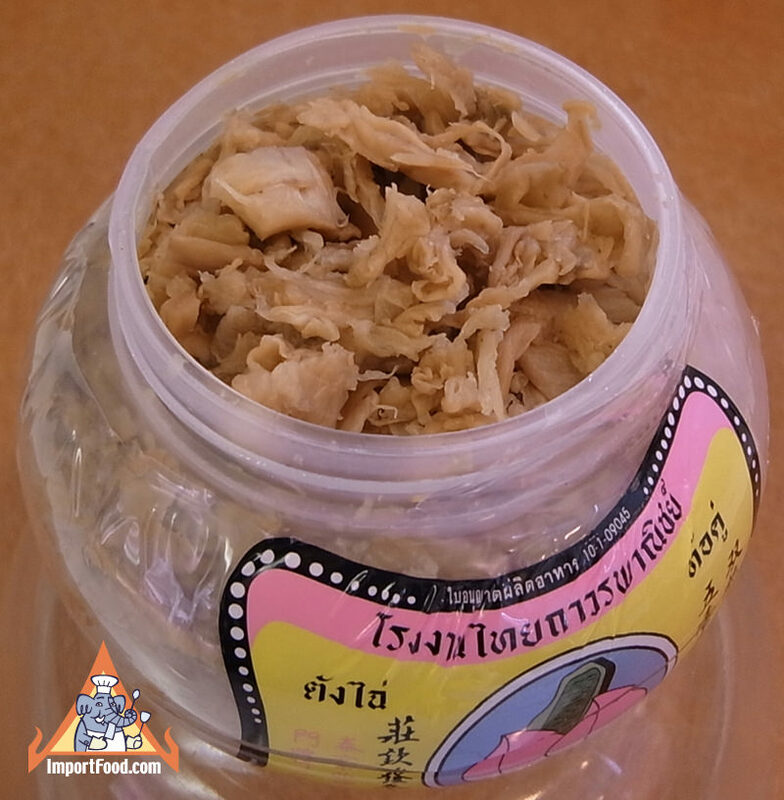 This is a regional Thai delight that is proudly served in Chantaburi province, where the Gulf of Thailand meets the Cambodian border. Many people familiar with Thailand would think about Chantaburi as the province with great fruit--notably durian, rambutan, and mangosteen. This famous dish from Chantaburi is simple, and unique. Simple because it uses fresh steamed jasmine rice, and unique because the rice is tossed with particular salty ingredients then topped with seafood and served with spicy sauce. A wonderful combination that we know you'll enjoy. We've never seen this offered in a restaurant outside of Thailand. The secret to making it delicious is pounding together Thai pepper powder, corriander seed and fresh garlic in a mortar & pestle. This paste has been called "Thai MSG" and you can add it to any soup for good results. See below for the correct proportions. You may be interested in our Thai Street Vendor Video: Tofu Soup.